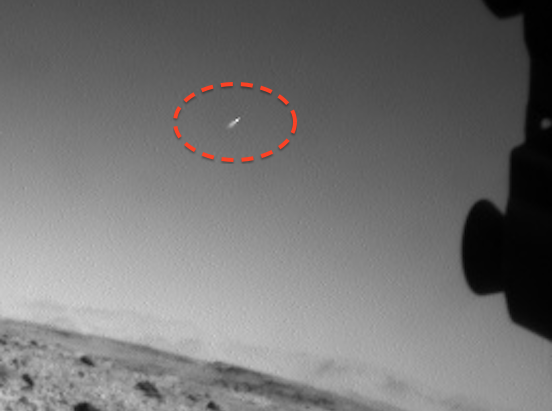 A UFO has been caught on camera – by a robot on MARS. 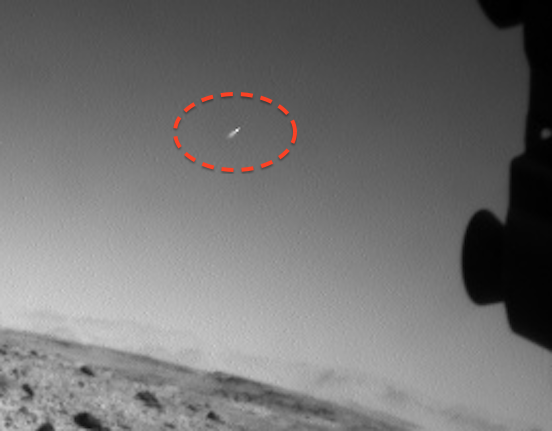 The bizarre celestial object, which looks like a spacecraft complete with vapour trail, was photographed by an unmanned Nasa rover at work on the surface of the Red Planet. The weird shape can be seen in a video uploaded to YouTube by Ufologist Streetcap1 under the heading Mars ufo? Some internet users offered potential explanations for the UFO. 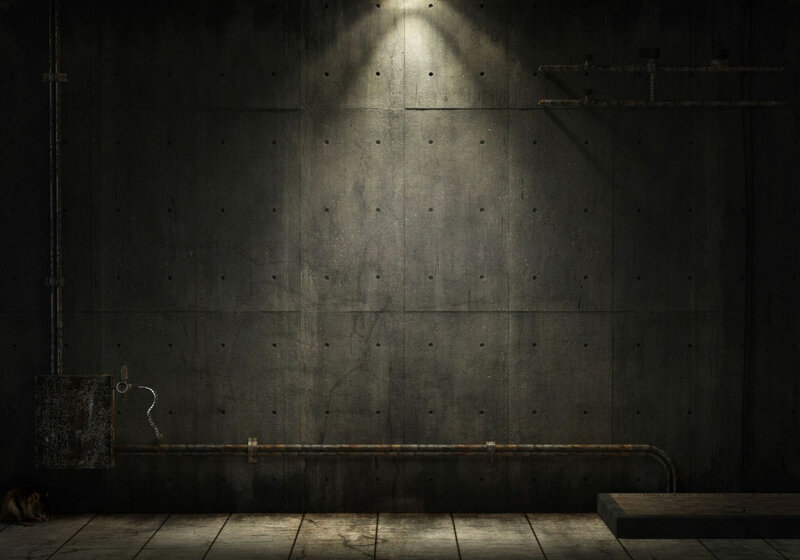 Nix Nightbird commented: “It’s something on the lens of the rover camera.